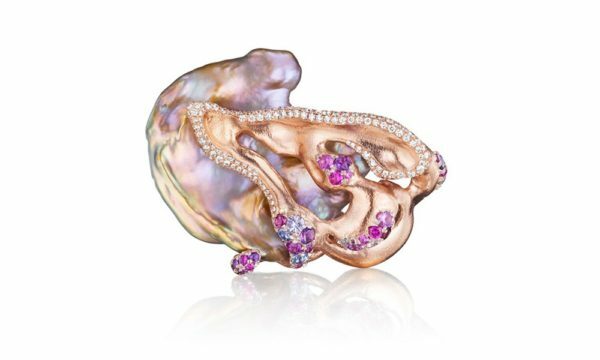 A completely original, award winning, extraordinary design featuring a Chinese freshwater pearl in purples, pinks, and golds. 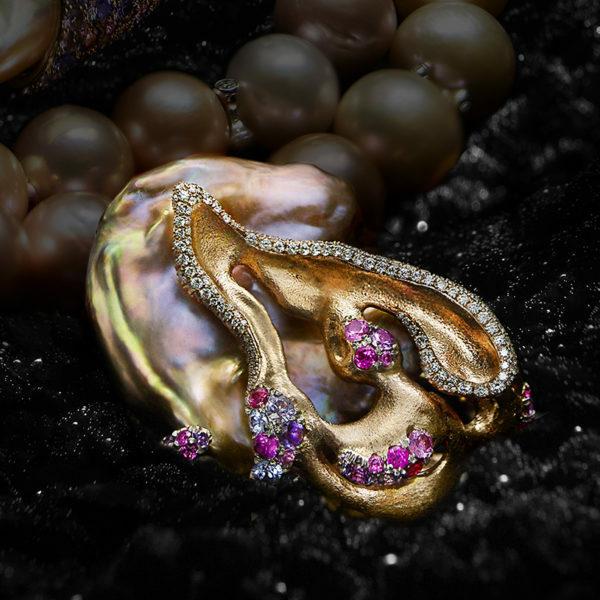 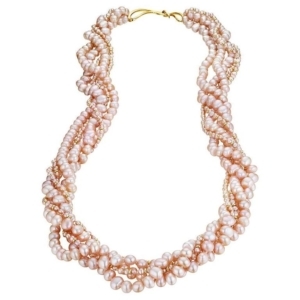 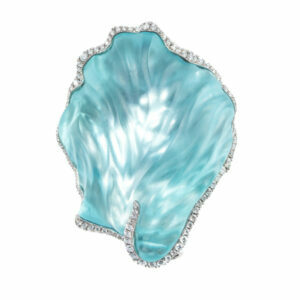 It is surrounded by a wave of 18K peach gold and platinum set with multicolored diamonds, sapphires, and amethysts which reflect the fabulous colors of the pearl. 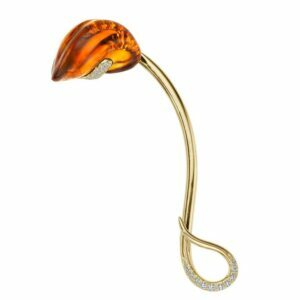 It is finished with a delicate hammered surface.Naomi wanted the colored stones to show their true colors, so she created depressions which were filled with platinum. 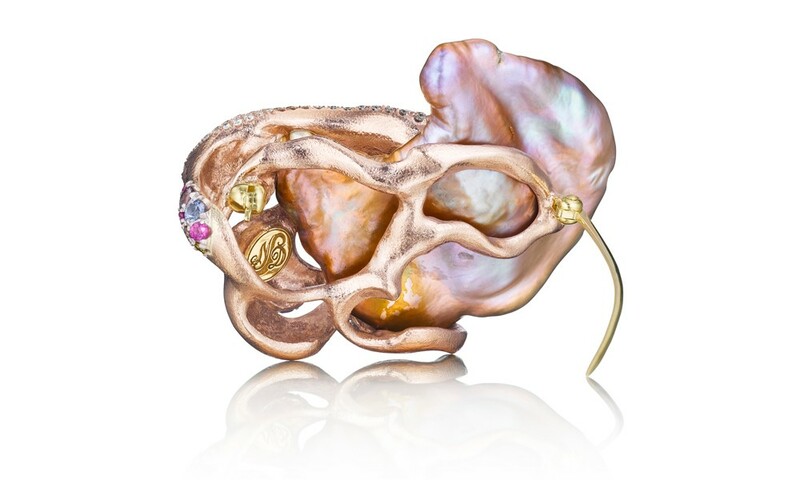 This allowed them be set in a white metal; the colors glow brilliantly! A true work of art.